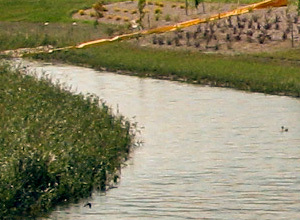 The Fargo Park District hired AE2S to transform the existing stormwater ponds at the Urban Plains Regional Park into a native prairie to compliment the traditional park located along 51 St. South. 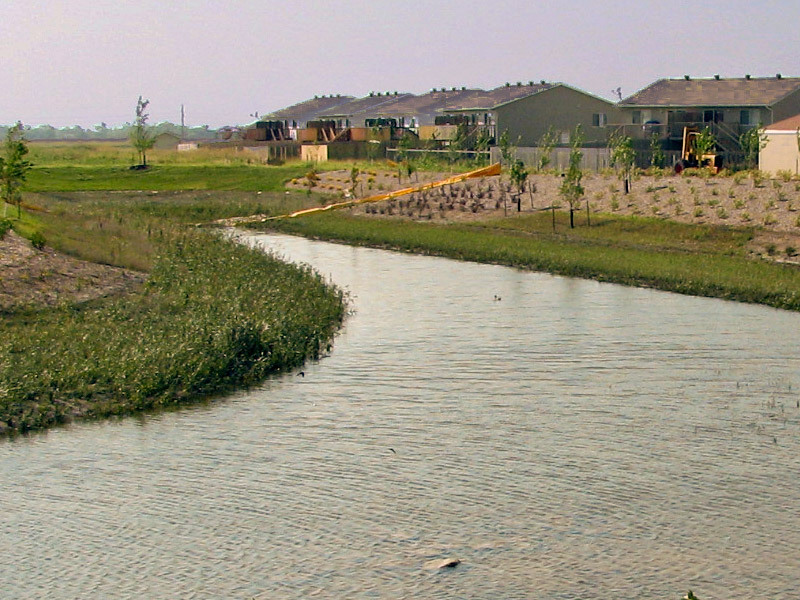 The revitalization was focused on combining the native landscape with urban stormwater management to create an amenity for residents to experience. The site integrates native vegetation, stormwater ponds, a native stream and pedestrian trails into the park allowing residents the opportunity to relax in a native environment. The Urban Plains regional park allows users to have picnics under the shelters, play on the playgrounds and talk a walk through the native prairie, all within the confines of a single park. AE2S worked collaboratively with the Park District from concept design through construction. 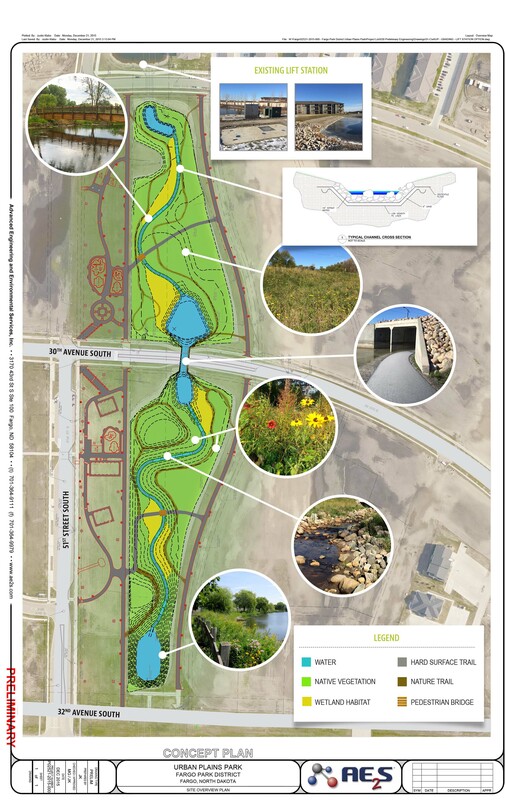 The new park system was designed to utilize the existing stormwater management infrastructure and augment it with a new lift station to create an automated recirculation system for the stream. 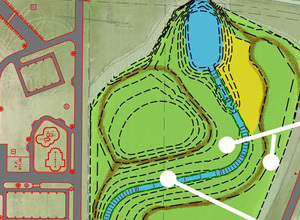 During recirculation, the two lift stations will work in unison to create a flowing stream through the native prairie, mimicking a native riparian environment.